Most people know that getting their car’s oil changed is inconvenient, but only fleet owners can fully understand the time it takes to service several vehicles at regular intervals. With Spiffy Fleet Services, fleet oil changes are easier than ever for fleet managers. 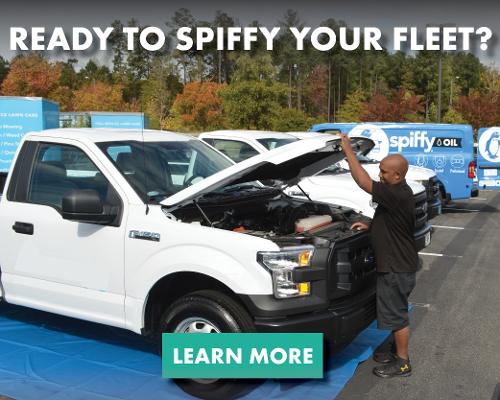 Spiffy’s green technology is among the top of the fleet industry, we use a vacuum method to ensure no oil is spilled. Our eco-friendly fleet oil changes consist of a synthetic-blend oil and they last up to 5,000 miles. These services include a complimentary new filter and multi-point inspection to ensure your vehicle can perform in tip-top shape. In Spiffy fashion, we come to you day and night. 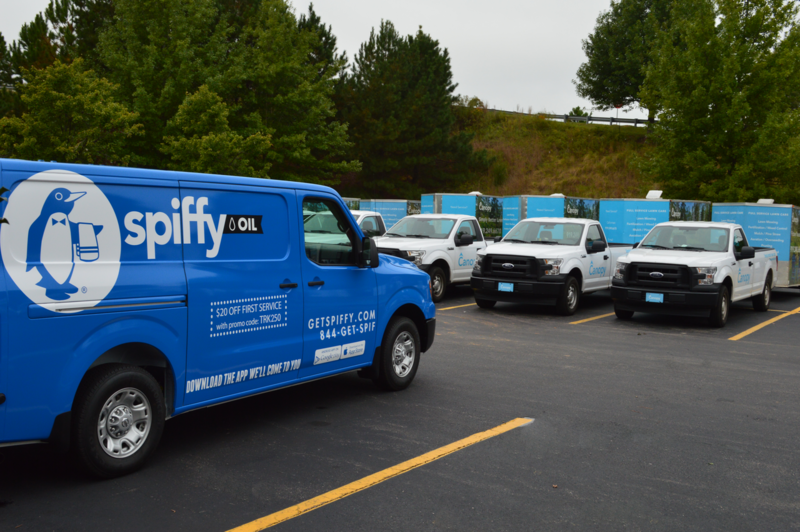 Spiffy will help you get the most of our your business and keep your fleet on the road. Ready to Spiffy your fleet? Follow the link below for more information and to request a quote.